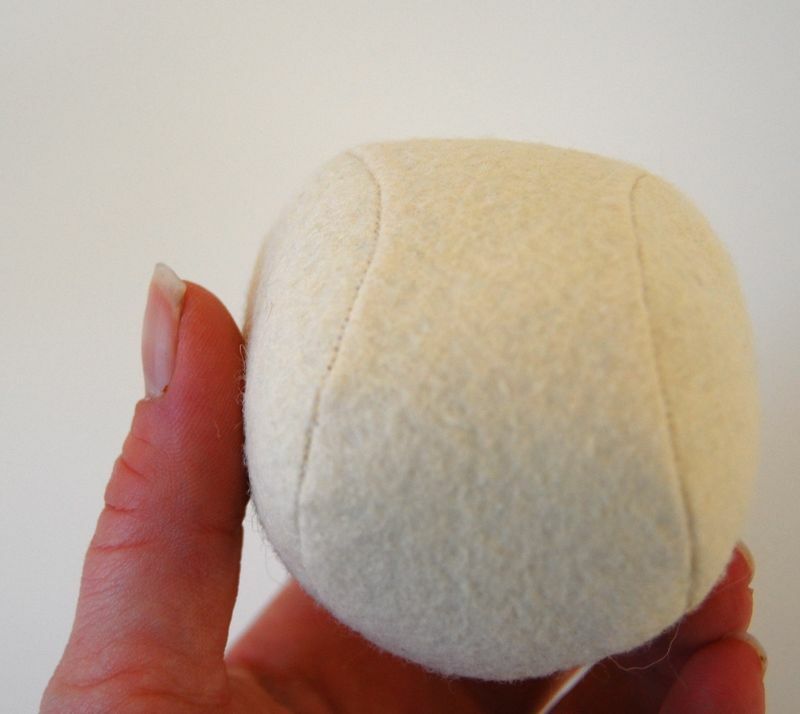 One good way to create a round head for a softie is to sew pattern pieces that come together like the seams on a baseball. The pieces are simple and create a nice, ball-shaped head to embellish any number of different ways. 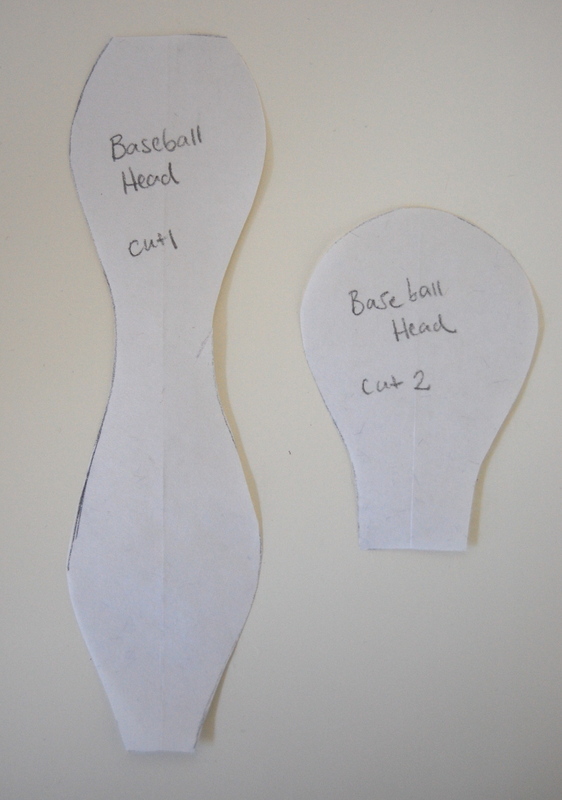 The baseball head is made up of two pattern pieces: a side and a gusset. Cut two sides and one gusset. Here is what they look like. 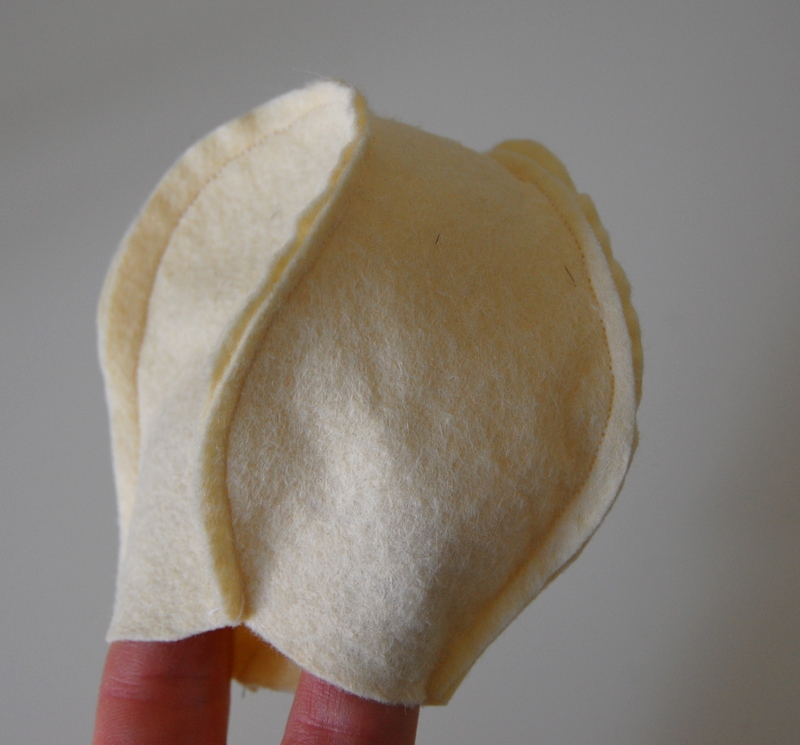 To sew the baseball head, sew a side to the gusset all the way around, starting at the base and ending at the base. Clip the curves, turn and stuff. 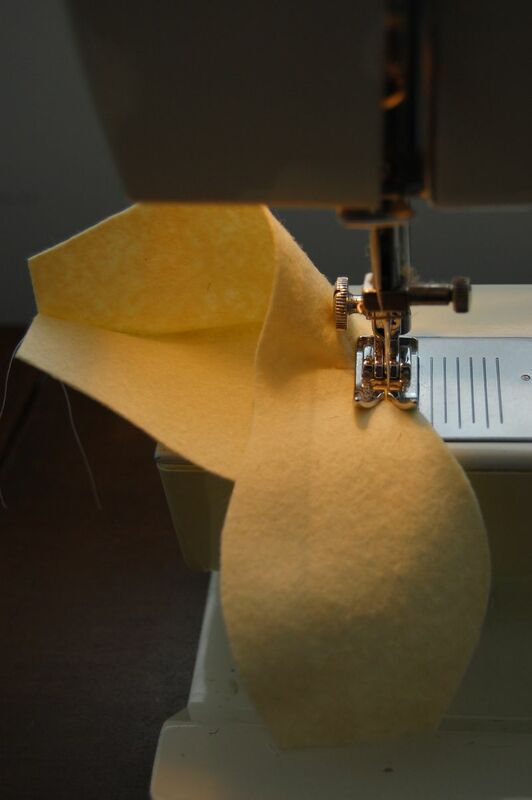 You can either baste the bottom edges and attach them to a body or sew a running stitch along the bottom edges and gather them to close the opening. You can modify the baseball head pieces in a countless different ways to get different effects. 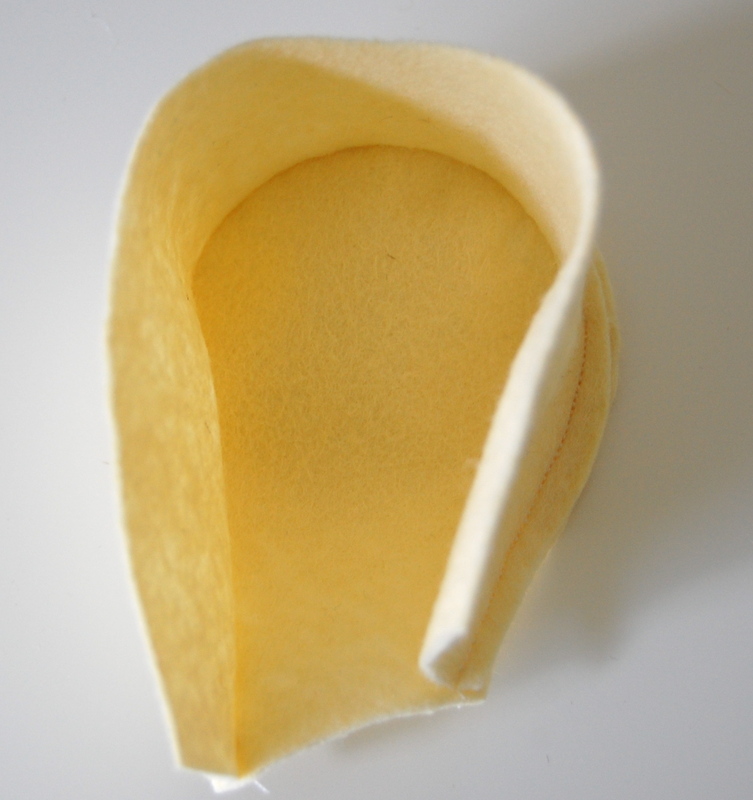 For example you could elongate the gusset piece, extending it downward so that it becomes part of the body of an animal. 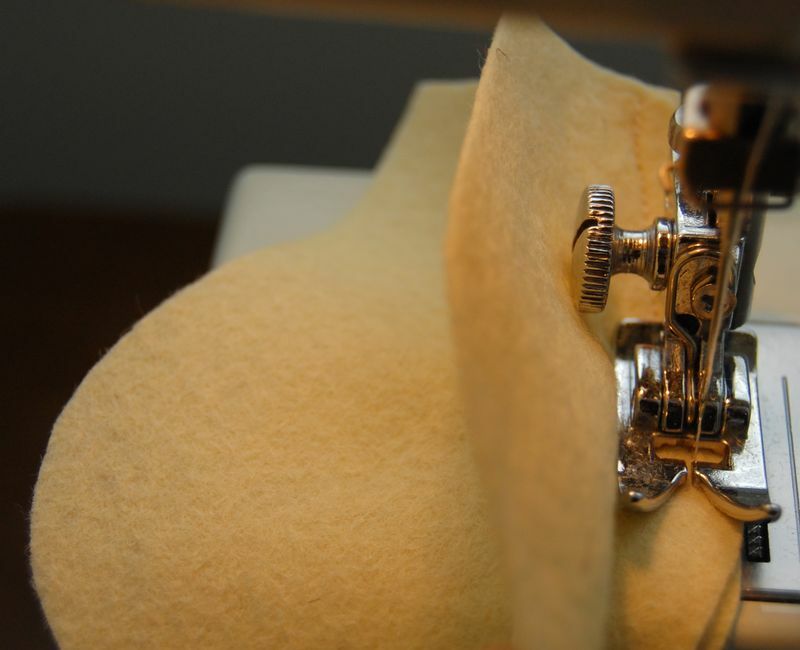 You can shorten it so that it does not extend all the way to the end of the side pieces. You can make the gusset rounder or leaner. Once you've made a baseball head let your ideas flow. Add a trunk and make an elephant, or a mane and muzzle and make a lion. Attach it to a bird's body or a doll's. A round head is a versatile thing. Here are a few softies I've made that use some form of baseball head. I originally learned about baseball heads from Susanna Oroyan's book Anatomy of a Doll which is now out of print, although it is availabe as an eBook. I'm excited to say that Susanna's publisher has offered me a copy of the eBook to giveaway! 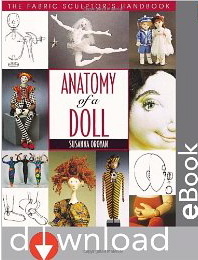 Anatomy of a Doll is an excellent resource, a handbook really, for dollmakers. It includes a multitude of doll-making techniques along with photos of hundreds of different dolls for inspiration. I think you'll really enjoy it. To enter, leave a comment telling me what softie you're working on, or you're planning to work on soon. I want to know what's on your work desk! Please be sure to mention that you'd like to be entered to win the book. I'll close comments and randomly choose a winner on Thursday morning, March 17, at 7:30 am EST. And if you don't want the ebook, but just have a comment about baseball heads, that's awesome, too. I would love to be considered for the ebook. 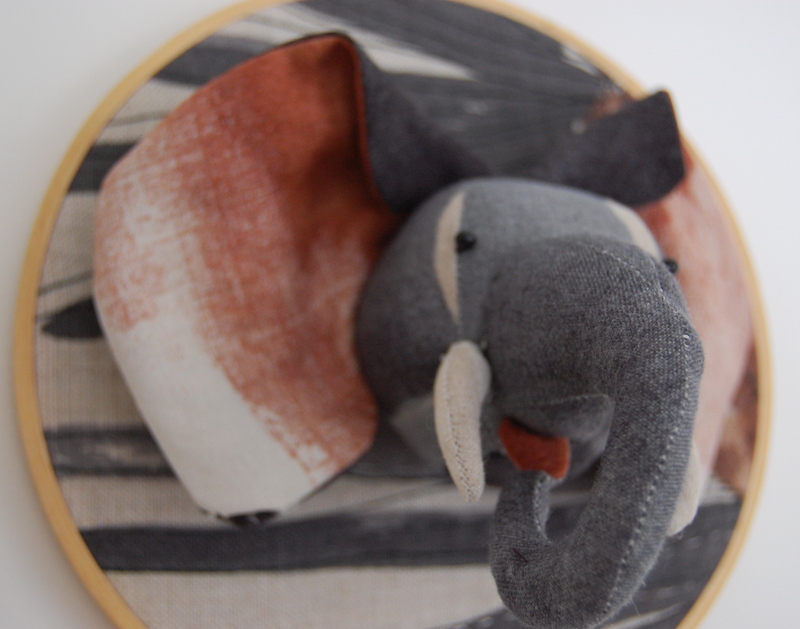 I am very excited to start on a family of elephants for our new nursery. This is awesome! I’m working on a pair of bunnies right now 🙂 All of your tutorials have been awesome and have let me get the most out of my sewing machine. I’d love to be considered for the ebook too. I am right now working on a design for a softie robot – not sure if I could use the baseball design for it, but I would love a copy of this book, it looks fascinating! Your tutorials are fantastic, btw. I wish I had had this tutorial a year ago when I was trying to make my first round head…I ended up doing it, but there was some trial and error involved. A little tip: I found that when attaching a round head to the body, it was useful to use a curved needle. I’d love to be entered for the e-book giveaway! I just finished a “french toast”…you guessed it: a piece of toast with a beret and a mustache. Next up will probably be another penguin dressed as a dinosaur. Because I love them. 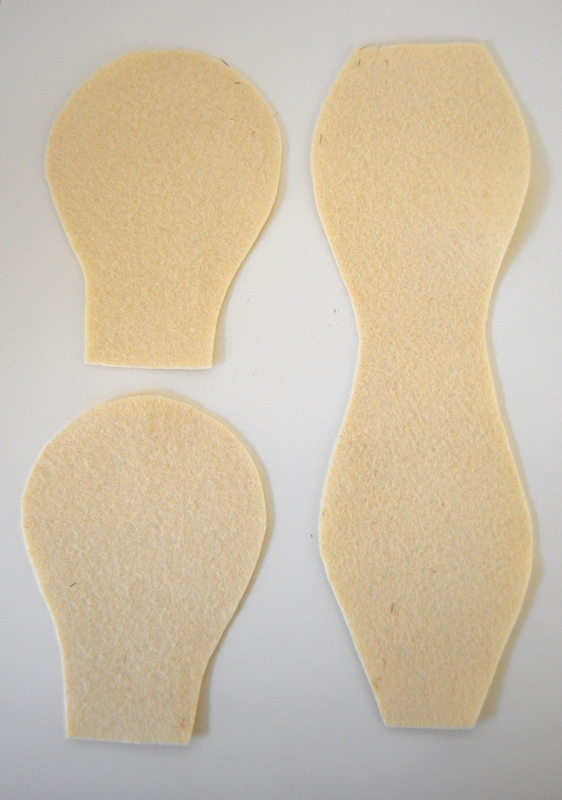 I currently have pieces cut out for a little bear from a book called palm size softies, but your tutorials are making me think that maybe I can make my own patterns. Thanks for the tutorials, and would love the opportunity to win the ebook too! I have a giraffe for a brand spanking new baby on my work table that will hopefully be finished tonight:) I’d love to be entered…thanks for the chance! 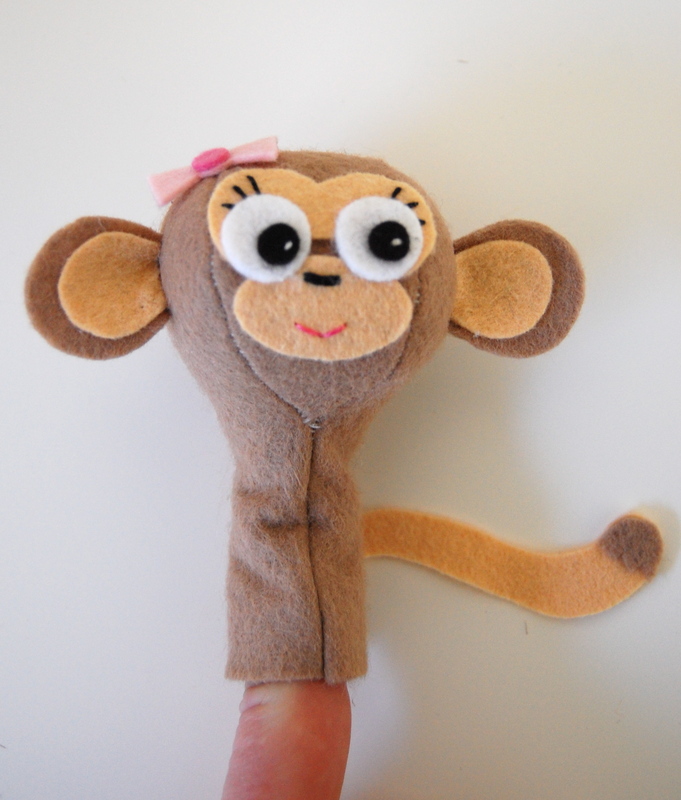 I want to work on some more felt flower fairy dolls for my daughter… And some new animals for my son…. Oh yay, what a cool giveaway! I just got your bird book from the library so I may make something from there. I really like the crows, but they all seem to require more brainpower than I can muster right now. I will probably make a cat-shaped ricebag for my daughter to warm up with as my next animal project. Really enjoying this series on soft toys! Conheci hoje seu blog. Seus trabalhos são impressionantes! Parabéns!!!! I’ve never tried the baseball head before but after this I’m thinking maybe I should! I’m just finishing a bunny for a customer, one of these: http://epla.no/handlaget/produkter/125264/ and I’m working on a design for a cat because I have the perfect fabric for a ginger tabby in my stash. I would love to win a copy of this book, it seems to be a wonderful resource! This looks like a wonderful book resource almost as good as your tutorial series that I have been enjoying immensely. I am working a a Perry the Platypus softie – but I want to make a giraffe soon. Please enter me into the contest for the e-book. Thanks for the great Elements of Design series. I’ll be making a doll using this technique. I’ve been so ready to graduate from the black apple style rag dolls, but I hadn’t investigated how. This is a wonderful lesson — thanks! I am making a dolphin softie and trying to write a pattern for a chicken softie 🙂 I’d love the book! I can’t tell you have much I’ve enjoyed all your how-to softie tutorials… I’ve been a lurker for the last few weeks, but I have seriously needed the advice you give in your blog post since I was about six years old (at which point I made my first attempt at designing my own softie–it turned out as some kind of mix between a goose and the Loch Ness monster). I’m so excited to (finally! 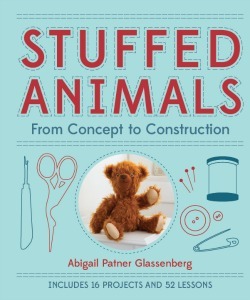 )understand the spatial construction of stuffed animals, I’ve had trouble starting anything because I have too many ideas! I’ve experimented with modifying some cat patterns, and next on the list is to make a cute, pudgy-bellied little cat. I would love to win the ebook–it would help so much! I’ve been meaning to say thanks for all these elements of soft toy design posts they are great. I started making softies in 2008. At the end of last year I decided that I wanted to start having a go a making some of my own soft toy designs, I spent some time looking for something (anything) on modern soft toy design couldn’t find anything …. then all your posts started to appear – its brilliant. I’m working on a Scottish Dog softie. 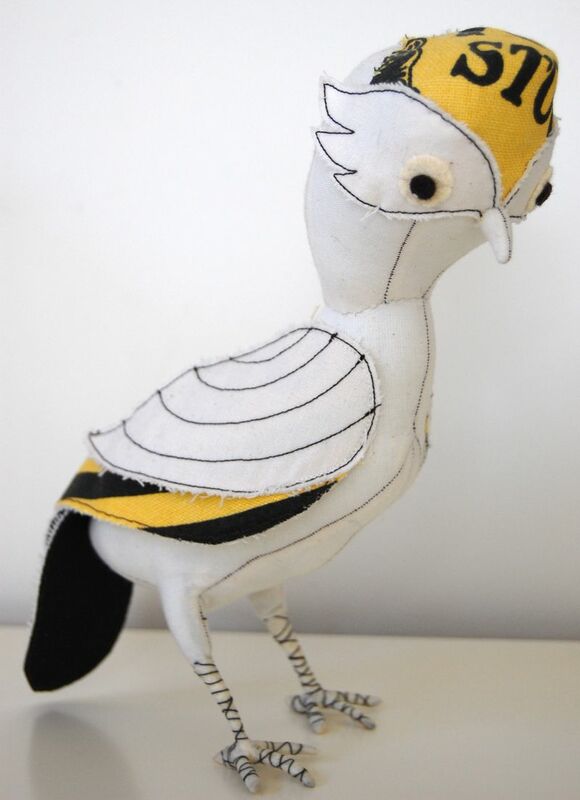 I made a 2D version of it at the beginning of the year – I’m attempting to evolve my pattern from there using some of the soft toy making techniques you’ve been blogging about. my softies are all imaginary beings..
I’d like to be entered in the draw, thanks! I am currently working on an owlet. By the way thanks for this series I am learning so much and really being inspired. I’d love a chance to win the ebook. Right now I’m up to my eyeballs quilting donation quilts, but hope to work on a bird softie soon. Oooh oooh! I just found this blog and I’m so excited–I’ve never made a “softie” before, but I’ve been poking around the net looking for ideas. I’ve been dreaming up a greyhound or pekingese… something akin to the classic porcelain kind that sit on or near fireplaces. I’m hoping to learn the foundations (interfacing, batting, etc) for a stable soft sculpture… I do a lot of hand embroidery and am excited to overlay a bunch of florals on more classic, antiquated fabric prints for this dog. Still in sketching phases for design–would really appreciate a reference book for construction and shaping techniques. I’m away from home this week, so I’ll have to wait a few more days until I can experiment with a baseball head. I also have waiting for me to finish on my sewing table another 4-legged llama-type creature. I’m making it out of a felted blanket; gorgeous thick wool felt, but the legs are skinny, so turning them is taking me a million years! Now I know…. I’ve been wanting to check out “Anatomy of a Doll” ever since you’ve been mentioning it on your blog. I would love that book! I’m always searching for better ways to make dolls that look more anatomically correct. Right now I’m working on a little doll with a wardrobe for my little niece. 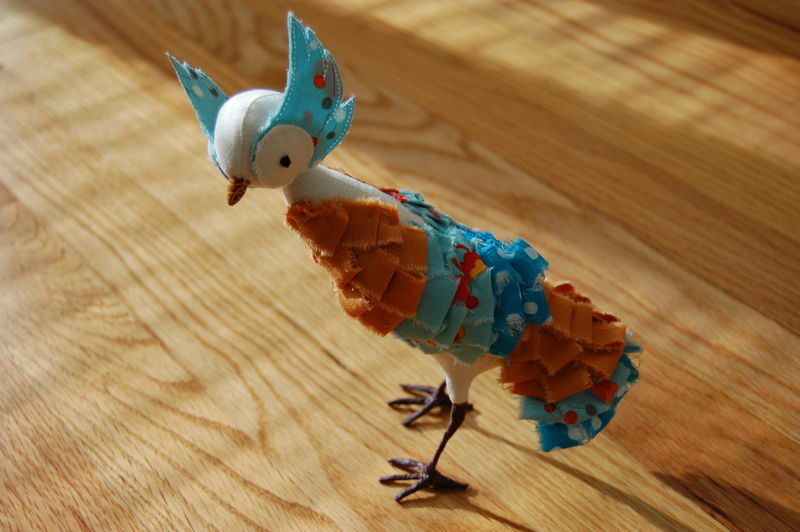 And I’m working on a companion piece for the mixed media peacock you inspired. The monkey finger puppet and lion are adorable! Thanks for another wonderful lesson in toy design! Wow, I’d love to be entered to win the book! I would make a doll. I’ve made several dolls, but the addition of this book would be an excellent resource. Thanks for a great blog. This is great and I’m loving this series. So educational! I’m planning on making some doggies for my two kids. 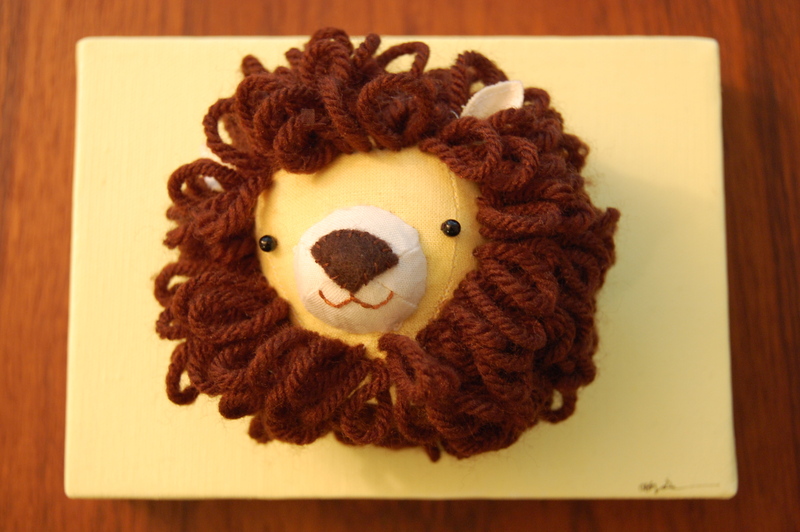 I’m working on a new doll.I want to win the book.Your blog is wonderful. I’d love to be entered in the drawing for this ebook. I don’t make a lot of sewn dolls, but I do make sewn animals. I’m currently working on a giraffe and a brachiousaurus! I would love to have a copy of the ebook. I have just found your site and am excited to start my own softies. I have made some basic dolls, like the black apple doll, but I want to try my hand at different construction types. Thanks for the opportunity for the ebook. If I don’t win, I will just have to buy it, won’t I! I’m currently working on crocheting a Yeti, as well as designing a Crow pattern for myself. This series has been lots of help in that, as well! I have enjoyed this series immensely and thank you so much for your generosity in sharing your pattern making knowledge. I have always been meaning to buy Susan’s book and now I am sad to see it is out of print so would love a chance to win it! Thanks for the “elements of soft toy design” series — it is so helpful! I would love to win an “e-copy” of Susanna’s book! Thanks for the chance to win! this is so helpful. i am planning to start a doll, and always have trouble with *real* round heads — thank you! fantastic! i’m wrestling with two birds. my first. wedding topper for my darling girl….4 months away. need it to be small enough and it’s dang hard to work with small stuffed things. feet are troubling…i shrunk your wonderful crow pattern and now am trying to find a type of winter white fabric that’s formal and yet doesn’t unravel! did you know bridal satin is evil? thanks for your book. lifesaver! I’m currently stuffing two chickens (toy ones of course:D) Thanks for a great series of posts they have been a great help. At some point you need to submit all of these stuffed animal tutorial posts with pictures for publication. I love to read them, but when I’m sewing it’s so much easier to have a book in my lap than to refer to the computer screen. It would be a best seller in the crafting world.